Pulau Aman is a small island in Penang situated off Batu Kawan. It is also known as the Island of Peace because it is the only place with zero crime rate in Malaysia. 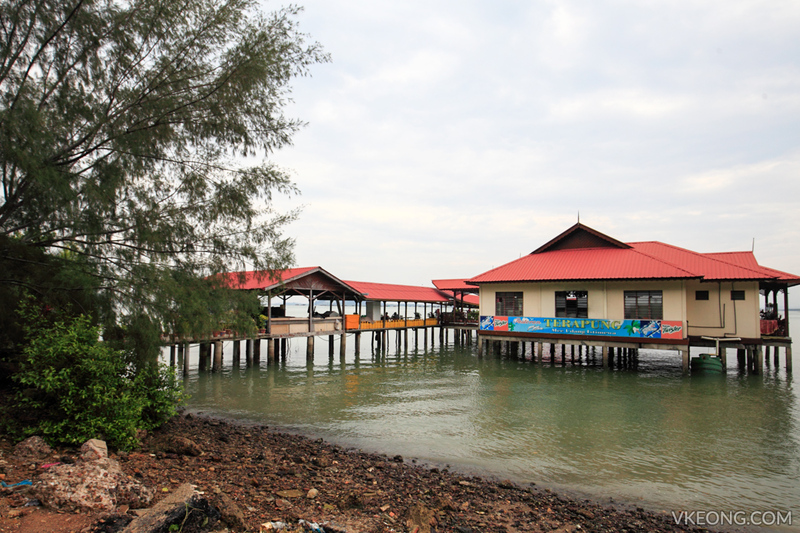 To reach here, you need to get to Batu Musang jetty in Batu Kawan and take a 10 minutes boat ride. 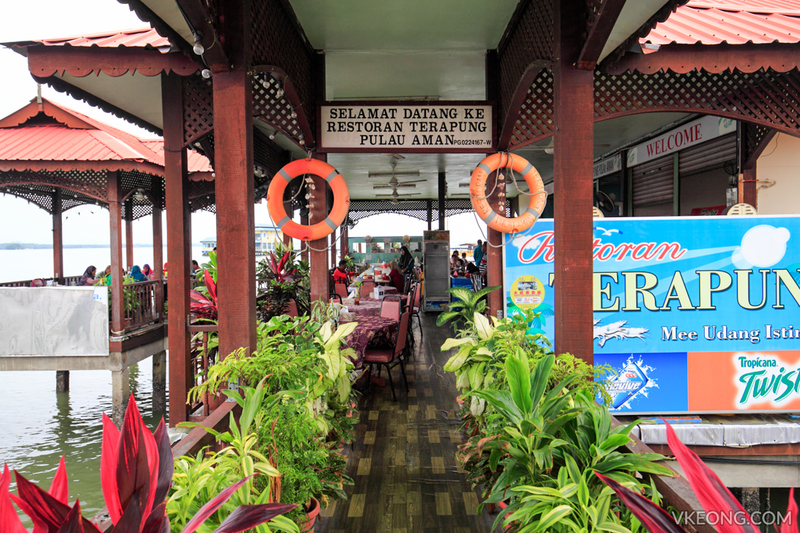 The ticket costs RM7/pax and that also includes your return boat to the mainland. 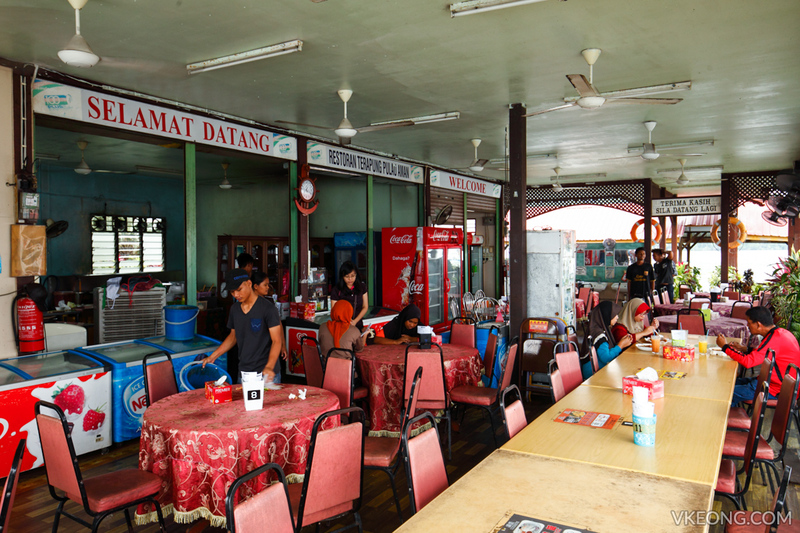 Being a traditional Malay village, Pulau Aman receives visitors who want to experience the peaceful and quiet kampung lifestyle. 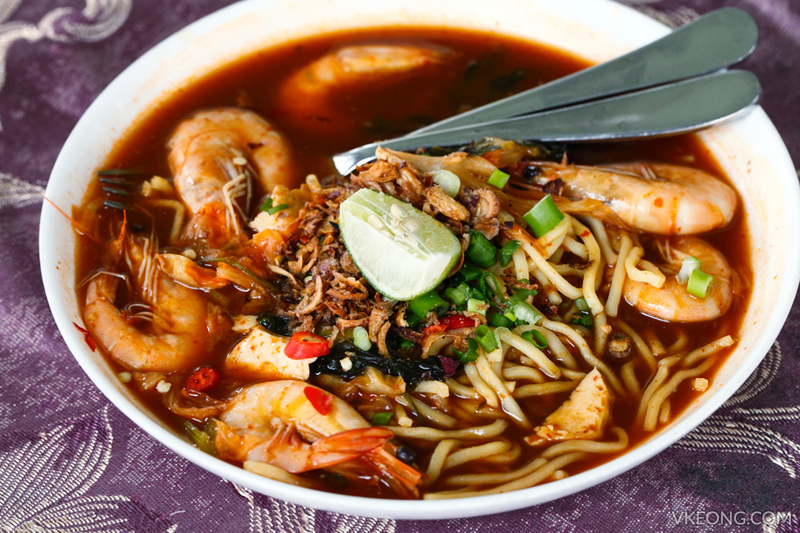 There are also a couple of simple restaurants that serve seafood and mee udang, the latter being an island specialty. 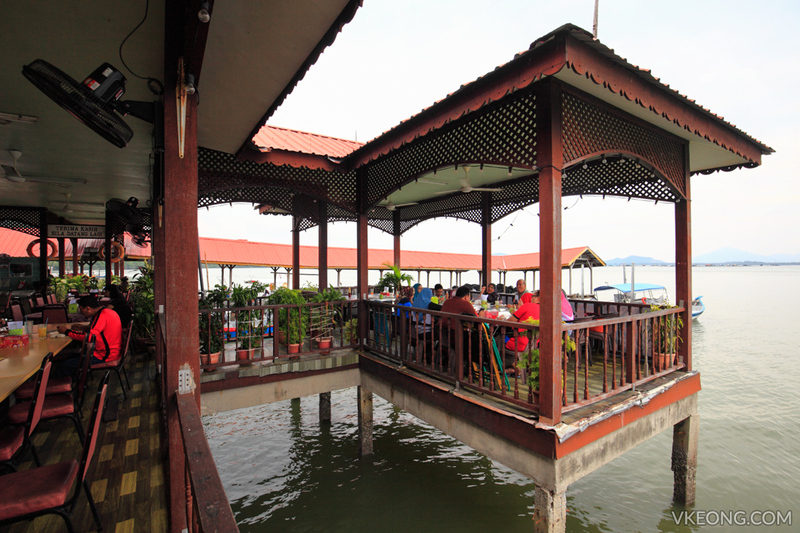 Restoran Terapung (floating restaurant) is the biggest seafood restaurant around and it also offers an unobstructed view of the sea. 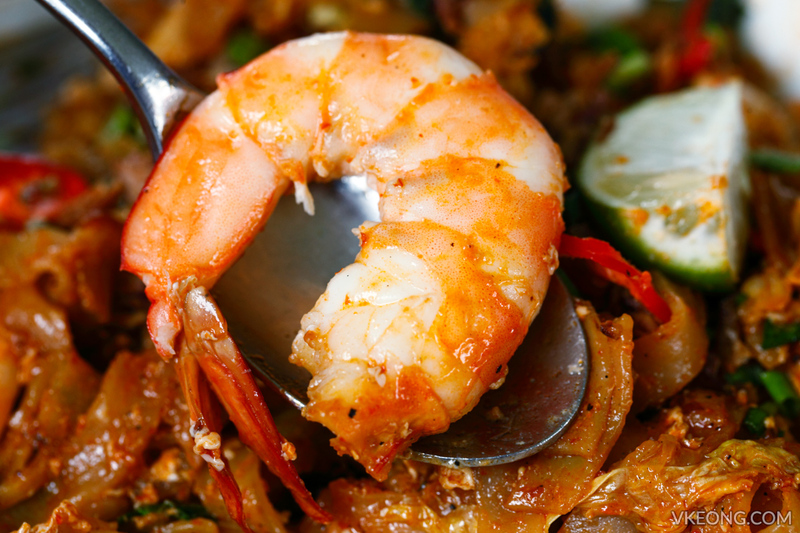 Prawn is the main ingredient here, used to prepare fried noodle and rice. 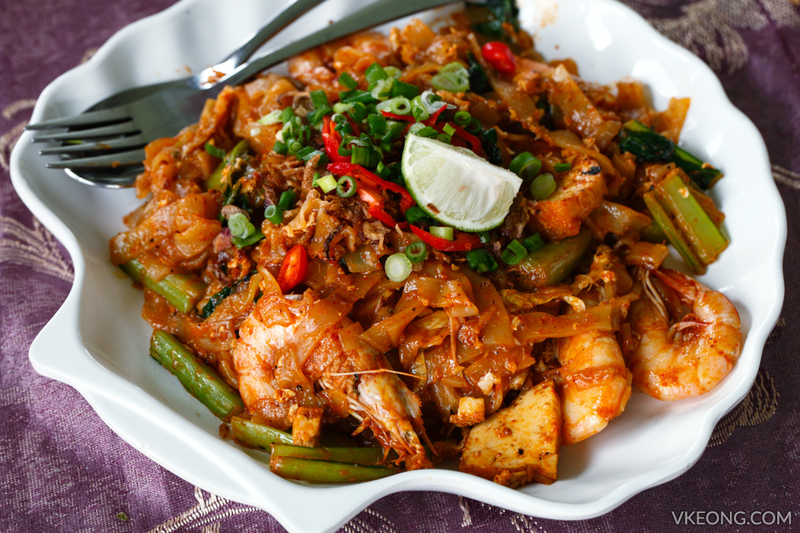 For noodle, you have a choice of kuah and goreng – one with gravy and the other without. 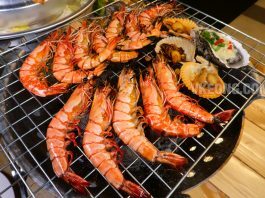 You can also bring your own seafood here to cook, but with the condition that they were bought from the fishermen at the jetty. 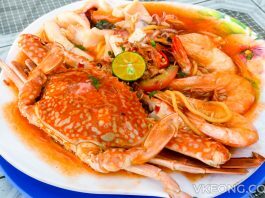 We had the Mee Udang Kuah and Koay Teow Goreng Udang, both special at RM10 each. 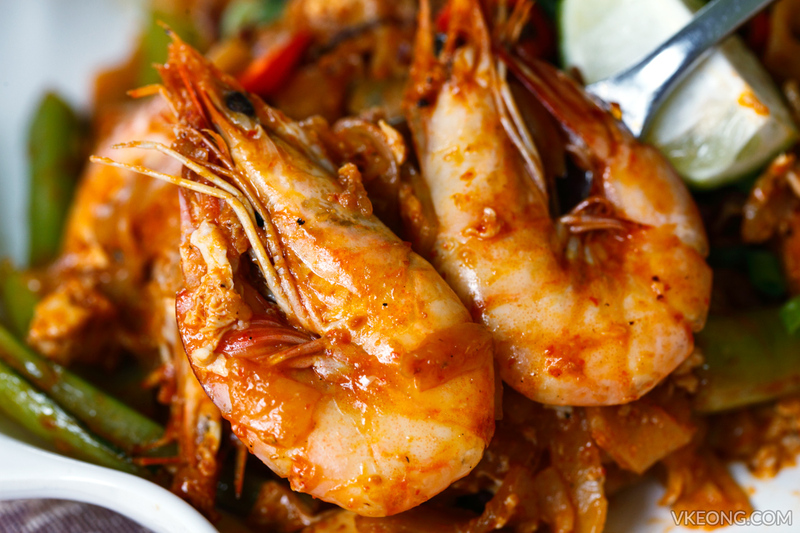 Compared to the normal order, the special one has additional prawns and it looks more elaborate too. I have to say the extra portion you get for extra RM4 is worth it. 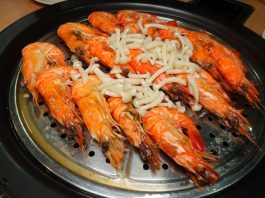 Although the Koay Teow Goreng Udang tasted better overall, the prawns in the Mee Udang were more succulent due to the cooking style. Freshness-wise there’s nothing to argue about, it’s as good as it gets. Highly enjoyable. 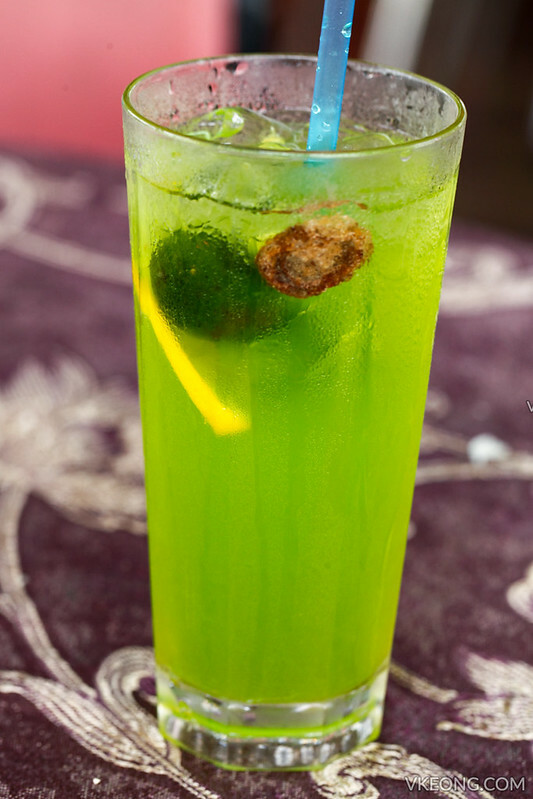 This green looking drink is actually a mix of lime and sour plum, and I can’t recommend it enough. It’s perfectly refreshing and will get you into holiday mode in no time.